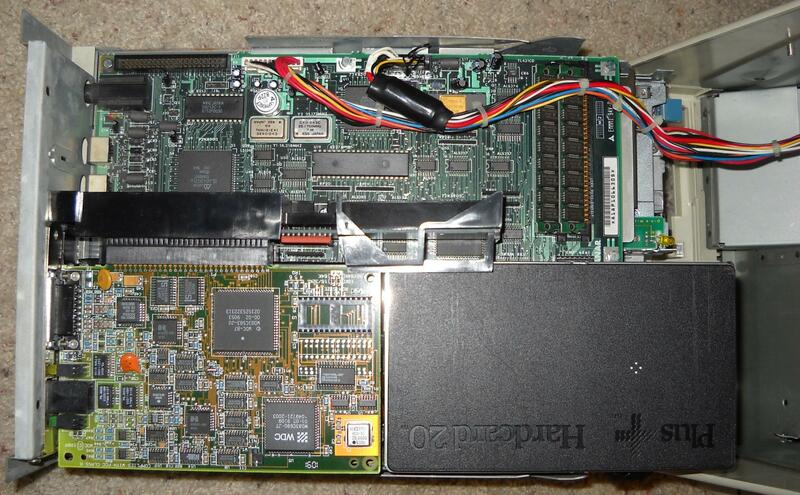 I need to update the photos, they still show the 20MB ISA HardCard in place instead of the SCSI controller, and the 2nd floppy drive where the SCSI hard drive now resides. I have also tapped the power supply lines to the motherboard to add a Molex power connector for the hard drive. Hey man, I’m curious, how did you do this? >> motherboard to add a Molex power connector for the hard drive. I probed the power wires with a multimeter and found which ones were +5V, +12V, and ground and tapped them and added a 4 pin molex to power the drive. When I have some free time, hopefully in the next few weeks, I will add some detailed photos of the mod. 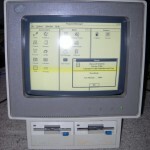 Hi, I have the same PC, a model 25 with a siemens 8086 and 640kb of memory, its hard drive died (it finds its controller card but not the hard drive), I’m wondering if you had any trouble installing windows on it, since in the box of windows 3.0 (with 720kb floppys in it) says it requires a 286 or higher, and is extracting power from the psu necessary with the hardcard? I’d suggest an XTIDE card, and then a Compact Flash memory card (with a $0.99 IDE>CF adapter) as storage, that’s my preferred method these days, a lot more reliable than any ancient 8-bit hard drive. 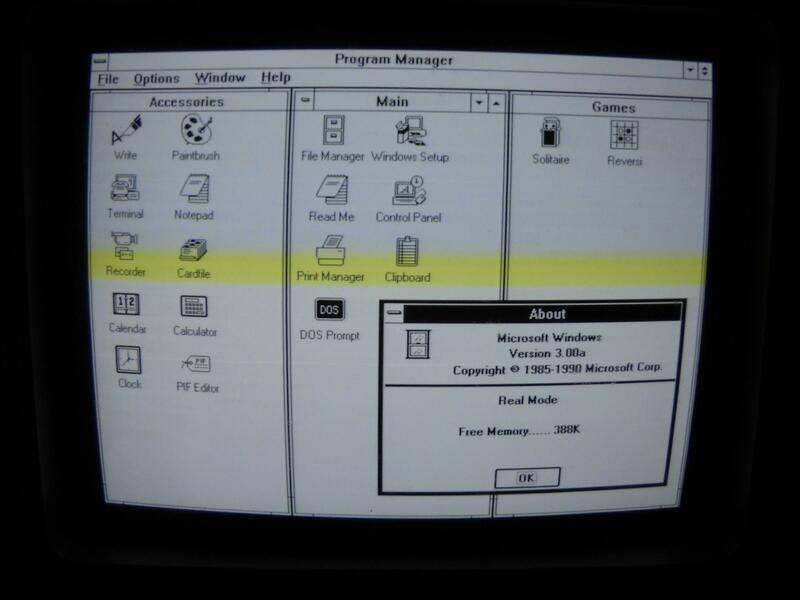 Yes, Windows 3.0 will install on a Model 25 with some caveats, the MCGA/VGA video drivers need SOME 286 instructions, this can be worked around by installing an “NEC V30” CPU in the model 25, it’s not a 286 upgrade, and won’t speed things up much, but it’s just enough to trick some things into working. 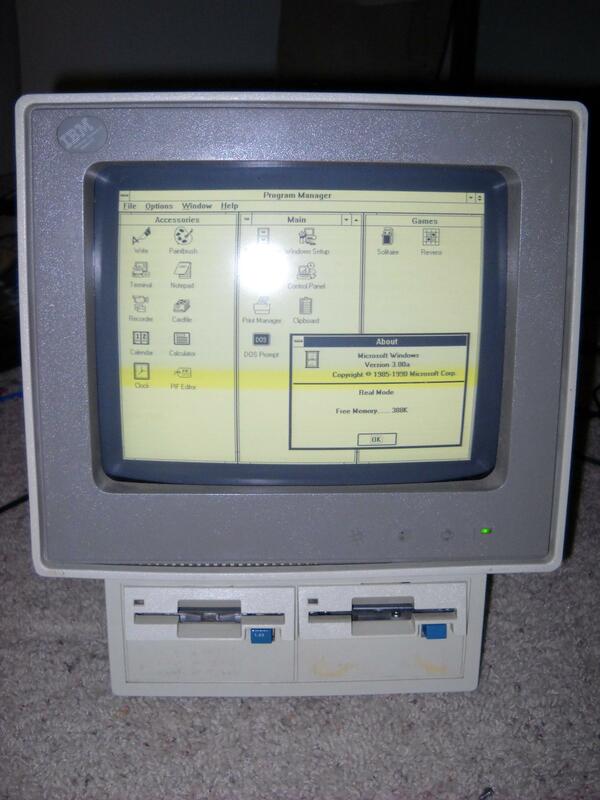 With the stock 8086 CPU you should still be able to install, however, you would be limited to CGA graphics. I bought one of these, maybe 20 years ago. I pulled it out this afternoon, still boots, a few errors I’m working out, but boots right into BASIC afterwards. 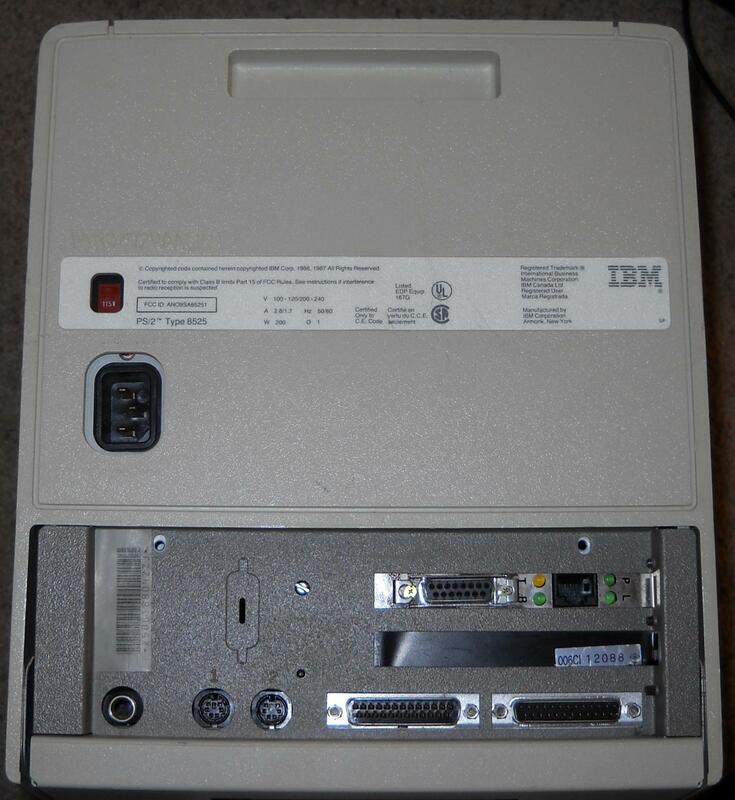 Anyway, I mine says on the IBM label on the front, it’s a 286, not an 8086. 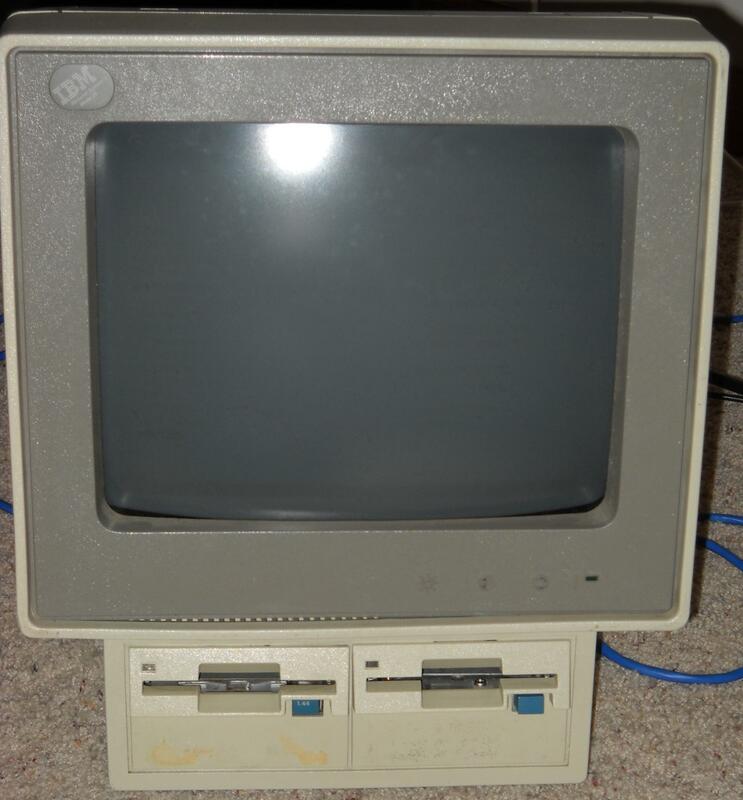 I was just curious, if you know of any history for this machine? I’m really curious about it. Says 1989 on the back. Seems a little late in the game for a 286 but could be wrong. Also looking for a manual, but I’ve yet to look around. I need to change the CMOS battery, that’s one of the errors I’m getting. But I’m not sure how to get into it. Looks like the bottom slides off? Yeah, these came in both 8086 and 286, also came in B&W or color. 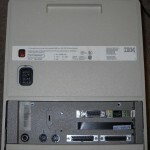 Yes, they were very late in the game for 8086 and 286 machines, they were a low cost machine (by IBM standards). The 8086 model doesn’t have a CMOS battery (it’s more or less an XT clone), but yeah, the 286 variant does, and I believe it’s soldered to the ISA riser board. The case bottom flips open, its on a hinge, should just be 2 screws on the back, then it slides a little and swings out. Hi Ryan and thanks for sharing. 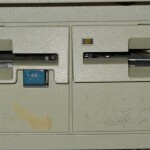 I wanted to ask you if you could tell me the model of the 1.44 floppy you use and if the connection uses EDGE or PIN. 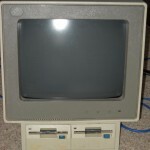 I have a ps/2 model 30 8086 and I would like to go from a 720k floppy to 1.44k. Grazie, ciao. You’re welcome! 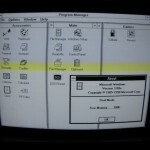 I would have to go back and check exactly which model, I know it’s one with the edge connector, it’s NOT being recognized as 1.44MB, it’s still only working as a 720kb drive, however I do know there is a certain model drive that supposedly will work at 1.44MB, but it’s one that has the mismatched small-button eject.